Your website makes it easy for your consumers to find you. It can also be an indication of how competent you are. If your content is of high quality, accurate, and captures the interest of your target market flawlessly, then it improves the odds in your favour. You’re likely to end up with more clients or customers as a result. However, if your content is bad, riddled with grammar errors and has managed to hopelessly mangle the English sentence in every way possible, then you’ll probably end up with zero clients. Your Content Needs To Be Seen. Well-written content isn’t going to do you much good if it can’t be seen. You see, the more a site is relevant to its target market, the higher it ranks on the search engine results page. So when you search for a keyword, that site automatically pops up on your results list. However, if you’re only starting out, your page isn’t going to end up anywhere on the first or second page of the results any time soon. An SEO expert, though, will know just what to do to optimize your pages and improve their ranking, allowing more people to read your content, says the Moz blog. Your competition is doing it and that’s a good enough reason to follow suit. After all, you really wouldn’t want to be left behind in the dust by the companies you’re trying to outwit, outdo and outperform. With a lot of new businesses springing up every year, says the Entrepreneur, your competition grows every year. Having an excellent site gives your business an edge over those newcomers. SEO is much more cost-effective than other types of online marketing, especially when compared to PPC or even social media marketing. It takes a long time to build but once it’s up and running, your online reputation is established and you’ll have a constant stream of traffic to your marketing channels, all without having to pay for a single cent. With affordable SEO servicer rates, you won’t even have to spend millions on marketing your products or services. You need to be where your customers are. So if a lot of them are online, then you should be too. You should do your best to meet consumer demand wherever happens to be, including online venues. However, it’s not enough to have a website or Facebook page. If you want to reach out to your audience, you need to make sure your pages stand out from the rest. SEO pros can upgrade your site or put features and content that’s sure to capture and hold your target market’s interest. For as long as you continue to commit to building a consumer-centric experience, then this system will work, says Forbes. So what are you waiting for? Hire an expert and get your marketing plans started. This entry was posted in Advertising, Content, Local, Marketing, SEO, Social on by Seo Tuners. The first step to a successful online marketing campaign is to know your core business model, says Entrepreneur. You should have full knowledge of your business: when are the busiest and slowest seasons, for one? What growth goals have you set for yourself, the team or the company? How much profit do you get out of every customer? How long do customers stay with your business? Four years is a great average, by the way. Most of all, you should know your marketing channels. Some businesses are better off with a Twitter page. Others benefit most from a blog. Depending on the nature of your business and the target audience you want to reach, you could end up choosing one marketing channel over another. Keeping a positive attitude towards your business goals is all well and good but being realistic is even better. Realistic expectations mean you won’t get taken in by promises of overnight success. While some do get lucky and only slave away at the business for a mere month or two before being valued at a hundred million, that’s not really common in the world of start-ups. Inc says about 96 percent of businesses fail within the first 10 years, so set your expectations straight. Don’t put up a site unless you know who your target audience is. That’s because your target market would determine a lot of your online marketing and SEO efforts. So which consumer pie have you got your sights set on? When you know that, it’ll be easy enough for you to polish up your marketing plans. Don’t just assume that sales will start rolling in as soon as you put up a site. You’re competing with a ton of other businesses out there. Maybe their sites are better than yours. You need to put in the time, effort, and even the cost necessary. That means you need to get help. 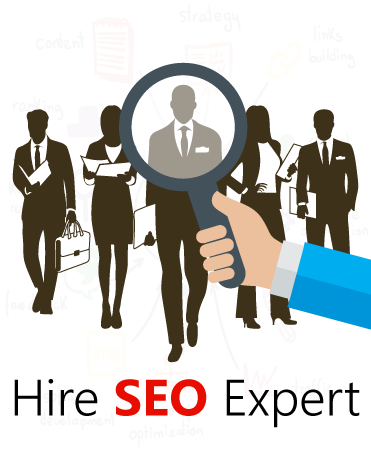 Look into some SEO services in Los Angeles and Ventura to get you the assistance you need to take on your competition. Some companies think success is all about having the highest numbers of followers and fans, says CIO. However, buying followers just to help your business reach the top sends a bad message, one that says you can’t be trusted. If any of your customers find out, you might end up fighting a backlash big enough to be a public relations nightmare. Putting up a business is tough. But sidestepping mistakes and following great tips can lead you closer to success with one confident step at a time.